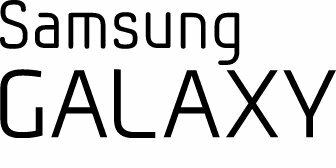 Samsung Galaxy S5 smartphones sold by Verizon Wireless and U.S. Cellular will come with the Find My Mobile and Reactivation Lock anti-theft solutions installed. Launched last year, the Secure Our Smartphone (S.O.S.) Initiative is an international coalition of prosecutors, police chiefs, state and city comptrollers, and public safety activists co-chaired by Attorney General Schneiderman, San Francisco District Attorney Gascón and London Mayor Boris Johnson. Members of the initiative are committed to pressing the industry to find an effective way to combat the rise of often violent robberies involving smartphones. Subject: LongIsland.com - Your Name sent you Article details of "Joint Statement From DA Gascón & AG Schneiderman On Samsung And Two Wireless Carriers Agreeing To Make Anti-Theft Features Available On Galaxy S5"